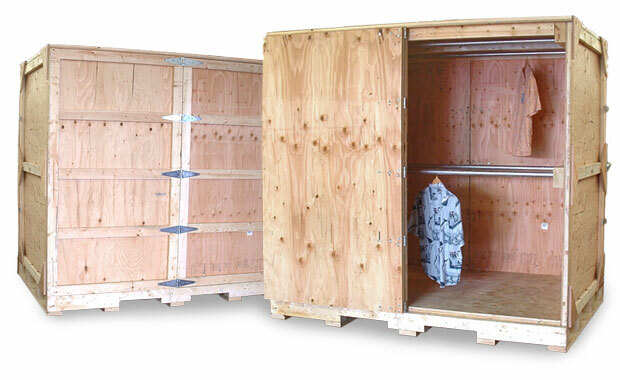 Caseworks Crating and Shipping is now offering premium crating solutions for the fashion/apparel industry! Whether you are a vendor, designer, or an official wardrobe hound, caseworks can build a wooden crate to accommodate your needs. Traveling to trade shows, fashion events or just making a standard move can be a difficult task when it comes to transporting expensive wardrobes. Caseworks Crating and Shipping combines innovative design and slick fabrication methods to provide long lasting crates. 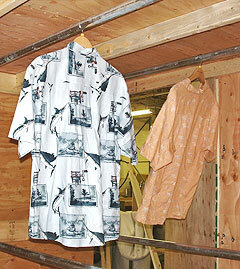 For men, women or children, wardrobe crating offers convenience and a variety of organizational benefits. Effectively placed compartments, drawers and rod assemblies along with desirable ramping techniques maximize space and provide easy access to your clothing. Available features and options include carpet and cedar lined interiors, multi entry swing doors, and heavy-duty hardware components such as hd casters and galvanized steel closet rods. For the exterior, waterproof rhino lining will further protect your wardrobe from the elements. We look forward to sharing this new and exciting product line with our customers!